For auto enthusiasts, hearing the term “supercar” immediately channels the mind to the various countries around the world that have contributed to the storied halls of automotive history. The likes of Ferrari in Italy, Bugatti in France, even Japan and the United States have contributed with various offerings of their own. But one country that certainly wouldn’t spring to mind is India. While India is a diverse and beautiful country, it isn’t exactly known for its exotic supercars. 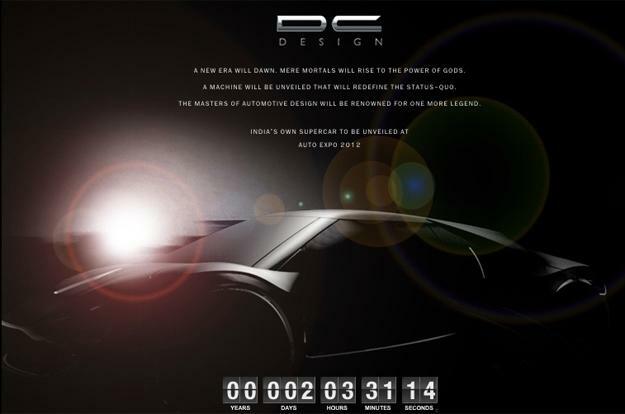 However, it looks like Indian auto firm DC Design, which is known for its custom cars and prototypes, is looking to change that with its latest mid-engine offering teased above. The yet-to-be-named two-seater Indian supercar is set to make its debut at the upcoming biennial Delhi Auto Expo. The mystery car would be DC Design’s first independent project and is said to be powered by Honda V6 forced-induction engine. Specs on the car are limited, but DC claims the car will output 400 horsepower and aims for a limited body weight of less than 3,500 pounds. DC is said to be capping production at 3,000 units per development year with a price of around $56,000.